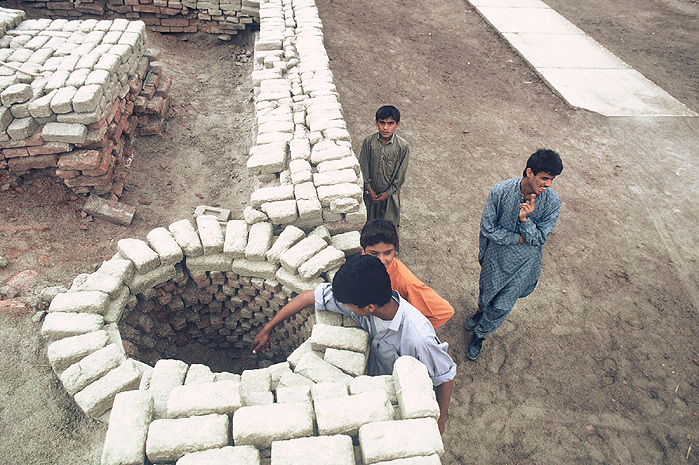 A well archaeologists have found in Mohenjo-Daro. An overview of another well found in the civilization. 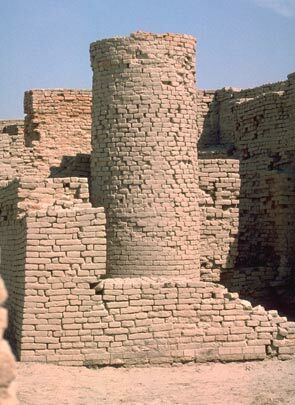 This picture shows the complex drain system (brick-lined) that they had throughout the civilization. A private bath that was built in almost every home. It had watertight floors to keep water from seeping into surrounding areas and a drainage system that took dirty water out to a sewer. 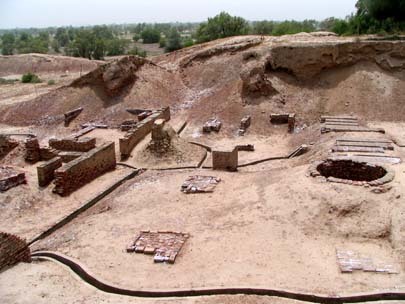 Mohenjo-Daro and Harappa's city plan had the world's first known "sanitation systems". Both cities included an amazing sewer system with drains that went all through the city. No matter how small a house was or how far it was from the middle, it was included in the sewage system. Majority of houses had bathrooms to shower and toilets with brick seats. The dirty water and waste would be emptied into the Indus River. This tells us being clean was a priority to the civilians. Deep wells were also found throughout the city to provide a storing place for water and water supply to private and public homes. Earthlinks were built to help control the rivers annual flooding. Fun Fact: Some wells were about twenty meters deep. 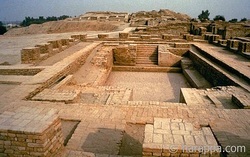 The "Great Bath" in Mohenjo-Daro. 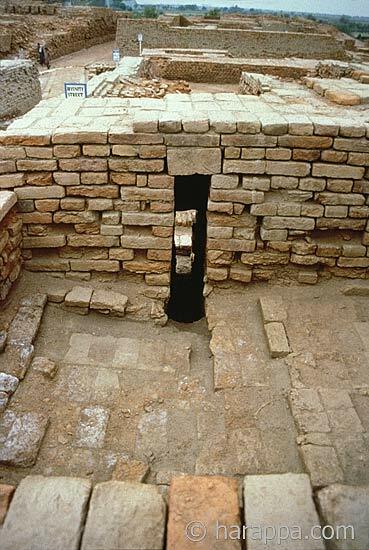 Mohenjo-Daro had the first public water tank in the ancient world known as the "Great Bath". Many scholars believe that the water in this tank was used for religious functions to purify or renew the well being of the bathers while some say it was just used for hygienic purposes. The tank measured about 12 meters long, 7 meter wide, and the maximum depth was 2.4 meters. The tank was watertight because of the finely fitted bricks it was made with and to ensure that there was no leaks, they applied a thick layer of natural tar around the sides, also known as bitumen. There was a series of rooms located on the western edge of the tank. In one room there was a well that they believe could have supplied some of the water for the well along with rainwater because there has been no inlet drains found.